THE bar/club in Cartagena. Cartagena A-list. Midnight and beyond. As a holiday town, people come to Cartagena, dancing shoes on and ready to party. The thing is, Cartagena's population is actually pretty small, so outside the busy high-season months of December and January, it can sometimes be a bit difficult to find where the action is. Rest assured, La Movida is where it's at. 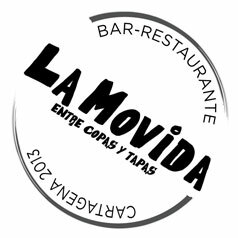 I still remember when La Movida first opened during the week of November fiestas in 2012. The buzz was already considerable: Juan Pablo Borge Trucco (Juanpa), the man behind the ultra awesome Le Kasbah in Barcelona, was returning to his hometown to open something just as kickass here. Suddenly (also, finally) a cool new space in Cartagena, filled with all the best people from around the world and fancy bartenders with bow ties and braces. I ran around high-fiving friends, we danced on chairs, we drank gin and tonics, we flirted we took selfies. Anyone who's anyone was there. We were hooked. Since that day, when the hour hand nudges its way towards twelve and there's a certain mischief in the air, we invariably go to La Movida. It's always the place to be on the weekends.. and sometimes the only option mid-week. When we have out-of-town guests looking to get their rumba on, it's must-go. Things really get pumping around midnight when after-dinner crowds arrive and the famous live local act; The Faces take to their courtyard stage. The duo of local musicians has been groomed by Juanpa into local celebrities complete with matching 'fros and flashy tailored duds. Juanpa's confidence isn't misplaced. The Faces are super talented, and their offering which blends deep electro with live amped up violin and trombone is a very unique proposition in a Cartagena music scene filled with crossover. However the main key to La Movida's status as "The best place in Cartagena", is Juanpa himself. During daylight hours he zooms around town in his custom-made, branded gold-cart, shaking hands and extolling the virtues of his popular club. Come night-time he is the perfect host: fun, welcoming and ready to upload instagram photos of his beautiful guests. Make the most of the coastal habit of afternoon siestas and recharge so you're ready for some midnight mayhem. Then get yourself to La Movida and goza la vida until dawn.